Got a yearnin’ for that high lonesome sound? Go no further than Bluegrass Unlimited. 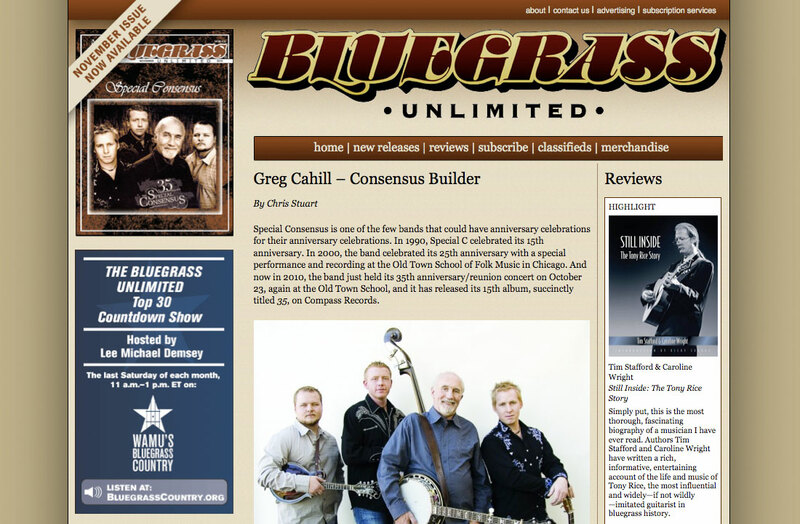 The Bluegrass magazine needed to translate their authoritative content to an online presence, so a masthead cleanup and dynamic website was the cure. Content and advertising management also.